It is generally believed that there are subtle differences in textures and diameters, between cashmere and wool fibers. Thus, automatically classifying the cashmere/wool fiber images remains a major challenge to the textile industry. In this proposal, we introduced a method that uses Convolutional Neural Networks (CNNs) to identify the two kinds of animal fibers. Specifically, a typical CNN was used to extract image features at first step. Then a region proposal strategy (RPS) was used to localize the fine-grained features from the images. We fine-tuned the CNN model by using the features selected by RPS. 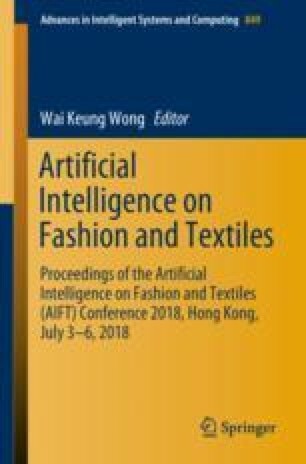 Experiments on cashmere/wool image set compared to different models verified the effectiveness of the proposed method for feature extraction. This work was supported in part by the National Natural Science Foundation of China under Grant 61702197, in part by the Natural Science Foundation of Guangdong Province under Grant 2017A030310261, in part by the Key Laboratory of Intelligent Perception and Systems for High-Dimensional Information of Ministry of Education under Grant JYB201708.